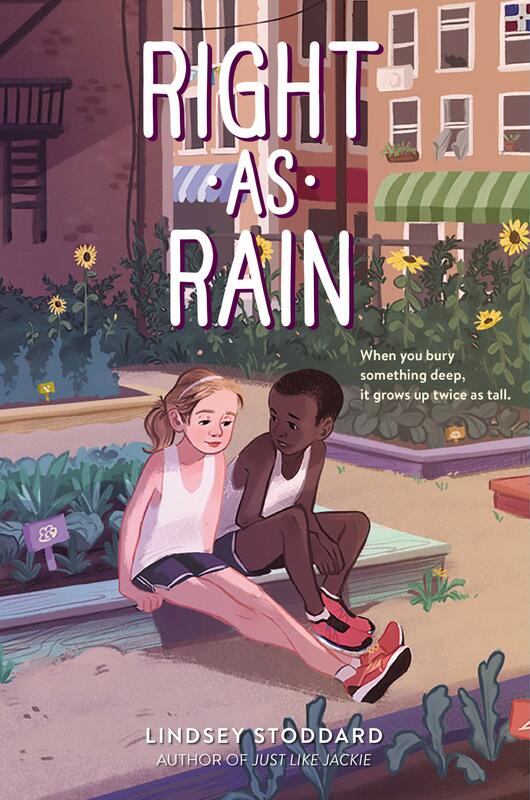 Summary: Rain and her parents have just moved from Vermont to New York City, partly because of her mother’s new job and partly to escape the memories of her older brother’s death almost a year before. Rain has heard that three out of four couples divorce following the death of a child, and it seems like her parents may be on their way to becoming part of this statistic. She escapes from her difficult home life through running. Her middle school track team gives her some new friends, as does Ms. Dacie’s house, a place where kids drop in after school to bake cookies and get help with their homework. As the story unfolds, readers get glimpses of the night Guthrie died and Rain’s role in helping him sneak out that night. She learns to express her feelings through poetry, and a poetry slam in her English class allows her to open up to her new friends about what is going on with her. Rain and her parents survive the one-year anniversary of Guthrie’s death, and, although there are still plenty of uncertainties in her life, she knows she has a team of people supporting her as she moves forward. 304 pages; grades 4-7. Pros: Lindsey Stoddard’s second novel is every bit as moving as last year’s Just Like Jackie, and Rain is another strong character who has to learn that she can’t always go it alone. Keep the Kleenexes close at hand when you get to the poetry slam chapter. Cons: I think reading this right after finishing Eventown was too much; I had to force myself to keep going through the first several chapters as the family is dealing with their grief over Guthrie’s death.